Marin & Marin working from a concept can assemble a team capable of carrying out the most complex turn key marina project or the most demanding private dock. 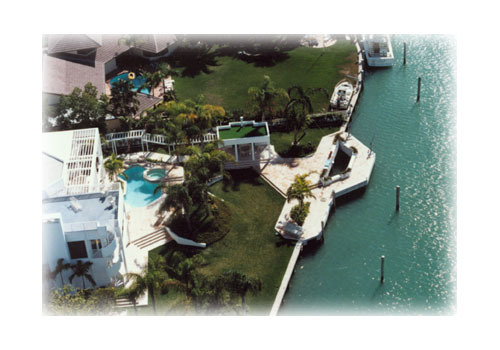 The planning and construction of a waterfront project can become a difficult task, the only constant in dock construction is this: each dock is custom built for the specific condition and desires of the property owner, commercial marinas have yet another whole set of unique needs. With years of experience in the area, Marin & Marin is able to offer a solution to all these needs. Pilings in concrete, timber, steel and plastics. Decking and framing in concrete, timber, steel and plastics. Rip rap construction and slope protection. Pier, dock and wharf construction. Los mejores contructores de marinas en el sur de la florida;tenemos un completo asesoramiento y soporte personalizado.